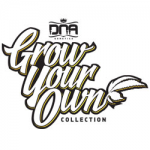 DNA Genetics - GYO Collection - Florida Lemons. Free US delivery. Just when you thought DNA brought the best with the Florida OG, they crossed her into their multi cup winning Lemon Skunk. The result is the BIG YYIELDING Florida OG hybrid that has an over the top lemon aroma! What was once a lower yielder in Florida OG became above average with sick almost rotten lemon smell. The concentration of the lemon terpene is amazing, as the flavor stays some how Kush! Fast flowering in 8 weeks max. and great resin production fast. The medicinal value is high as Florida Lemons will stimulate appetite, help sleep, as well as being strong enough for heavy pain suppression. Think clear, smell lemons with all that OG Kush flavor you’ve grown to love.